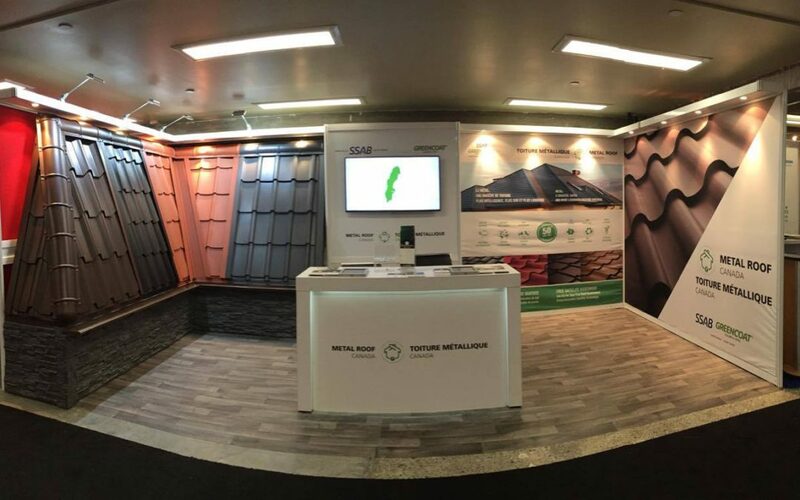 Come visit Metal Roof Canada at the National Home Show, between March 4 and March 13, 2016, at Place Bonaventure, Montreal, QC; booth #345, where you will be able to find our latest premium metal roofing products and accessories. Check out our beautifully designed, eco-conscientious metal roofing systems, and learn about all of the benefits of metal roofs from Metal Roof Canada Inc., like, easy-installation, fire resistance, energy efficiency, and other great benefits. “Expanding and improving on metal roofing market in Canada, and bringing high-grade and high-quality premium metal roofing and rainwater drainage systems is the logical next step in the evolution of our business. More and more consumers, understand the amazing benefits and demand for metal roofing systems by Metal Roof Canada Inc. Our metal roofing systems is not only the right aesthetic, environmentally and energy efficient solution for your home, it will also maintain and increase the value of your property.” Says Sergei Dmytriyev, Co-founder and President at Metal Roof Canada Inc. Established in 2012, with a Canada-wide distribution network, Metal Roof Canada Inc is focused on providing roofing professional and consumers with high-grade, high quality, durable metal roofing systems, panels and roofing accessories. As well as being one of the leading distributors of metal roofing systems in Canada, Metal Roof Canada Inc. employs a network of certified roofing professionals, including, roofing inspectors, roofing installers, and other building and construction professionals to satisfy every customers roofing demands, provide top of the line quality service supported by installation warranty and a 50-year transferrable product guarantee. Metal Roof Canada Inc. (Toiture Metallique Canada Inc) is a privately owned Canadian corporation.